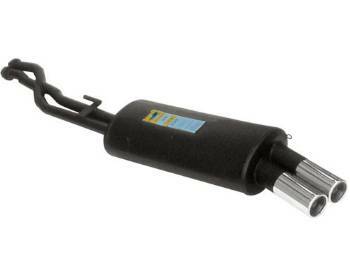 Race Mufflers are louder and aggressive; for the driver who wants maximum power and enjoys the race sound. May require some cutting or exhaust clamps for some applications. Street Mufflers are for those who still want a very sporty sound, but more subdued and controlled than the Race. VAC recommends using Euro, Supersprint, or other Performance headers and center section to get the most out of the Euro or race Supersprint rear mufflers as they have slightly larger diameter and more flow.